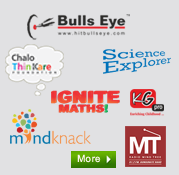 Mindtree proudly presents a community radio initiative in the heart of Ambala City. 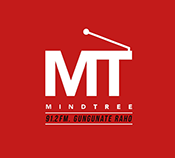 Radio Mindtree is an attempt by us to provide the student community an opportunity to experience the wonders of this medium of communication first hand. Not only that, the radio station offers a healthy mix of programs related to entertainment and at the same time providing knowledge to students. Radio Mindtree is a full-fledged radio station and has a dedicated team of Radio-Jockeys (RJs) running the show. 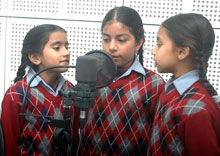 The radio station boasts of a FM transmitter of 50 watt and covers the entire Ambala Cantt. and Ambala City region. Radio Mindtree is equipped with state of the art equipment in the radio industry, complete with latest equipment such as consoles and mixers. The radio station aims to become a network for the social community of the region and become an effective vehicle for communication. Students at the school will get a first hand opportunity to work at the station as well as observe the workings of a professional set-up.